Perhaps the most obvious observation to make about All Seeing Eyes' debut album Trinity Road is that it's really, really long. But we're getting ahead of ourselves. All Seeing Eyes is the creation guitarist and vocalist Ben Colton of the obscure UK power metal band Neverworld. He's joined by longtime pals Kenny Fraser (bass/guitars/drum programming) and James Thackway (keyboards), with help from special guests including Crimson Glory vocalist Ben Jackson. But back to the elephant in the room. 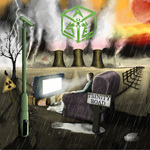 Trinity Road comes as two CDs, with 18 songs total, and at 12 minutes shy of two hours. Whether a mistake or not, on my first spin I attempted to listen to everything in one session. It was a bit much, and bathroom breaks, coffee stops, and feeding the dog broke up the time. It also left my listening experience a bit disjointed, even a blur. There's a lot to consume here. Fortunately, heavy metal fans, there's also a lot of interesting music here also, a good mixture of heavy, melodic, and power metal, often in a prog metal arrangement. Mostly, the songs reminded me of some form of NWoBHM spun with traditional progressive power metal. While some songs didn't connect with me, I can honestly say that every song offers some intrigue and interest. Rather than tackle a discussion of all 18 songs, a daunting task, it's probably best to mention some highlights, leaving the rest for the reader to consider. Regarding my aforementioned description, songs such as The Rings of Kronos, Haunted and, perhaps my favorite song here, Secrets Beneath The Surface have the gallop of power metal, yet with the melody and guitar focus of NWoBHM. And guitar riffs and solos abound on this album; one of it's best features. 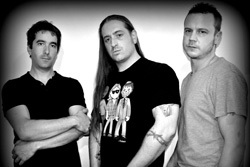 Sometimes the speed of power metal is the reigning characteristic of a song, as it is with Hunted which stays brisk from the start. Something akin to this Master Minds. It's also quite speedy, but the riffage seems heavier, nearly thrashy, and the vocal arrangements scrambled. It's one of those songs that didn't reach me. Another is The Cube, which features Ben Jackson, which merely came across as plodding. This song also has the unfortunate ability to point to a weakness. Whether Jackson or Colton at the mic, the vocals across this album are muted, nearly flat, in the mix. But returning to some more promising highlights, both Just A Memory and The Aftermath were quite exceptional numbers. The first, which features Danae Saree in duet, at the start, reminded me of an early Procul Harum song, namely a Whiter Shade of Pale, with it's orchestration and leading guitar. It develops into this rather large and sweeping anthem, with vocals and guitar leads alternatively leading the way. The Aftermath is another metal anthem, moving early with vocals over piano and acoustic guitar with light synths. It finishes with an emotional and soaring solo. After all the music you've been through, sometimes powerful and bombastic, it's rather soothing, leading you to a smooth conclusion to the album. Certainly, the weight of the amount of music within Trinity Road will seem foreboding. Perhaps, it's best to listen to the package in two sessions, one CD at a time. Ultimately, I think you'll find All Seeing Eye's progressive power metal an engaging and entertaining listen. Recommended. 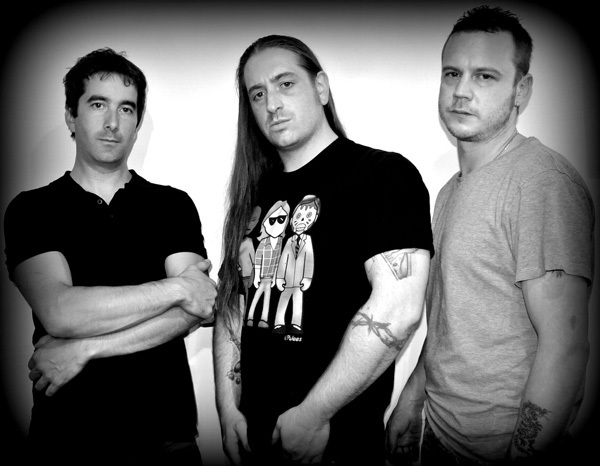 While the amount of music within Trinity Road seems a daunting hurdle, the patient and persistent listener will be pleased with the variety of melodic progressive power metal within.